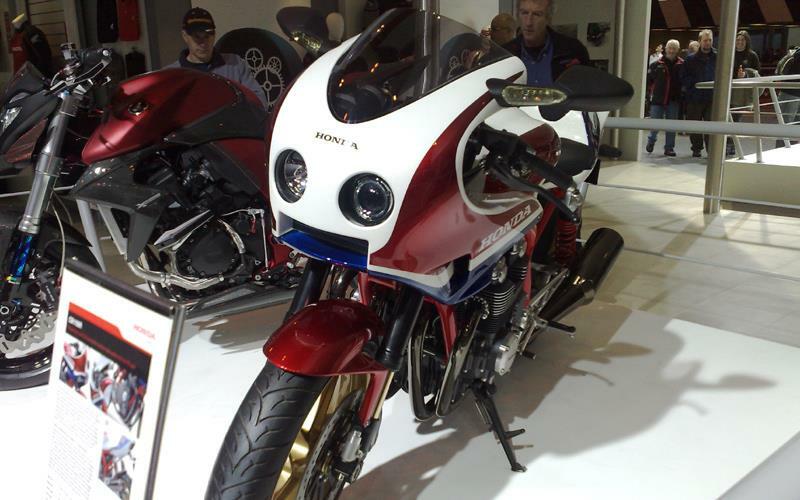 ﻿ Poll: Should Honda build the CB1100R? Poll: Should Honda build the CB1100R? Honda staff at the NEC had to disappoint a number of buyers so desperate to get their hands on the prototype CB1100R on show for the first time in the UK they were willing to write a cheque for the full amount there and then. Staff manning the NEC Show stand have been approached by a number of customers who love the concept bike so much they want to pay for it at the show. Many others have asked for their names to be put on a waiting list to be assured they are at the top of the pile. Honda has yet to officially commit to making the bike a production reality but MCN’s Japanese sources reckon the globally positive reaction to the bike after a year of show appearances almost guarantees we will see the retro-inspired machine sometime within the next 18 months. Honda spokesman Fiona Cole said: “There is an official process where all of this feedback goes firstly back to Honda Europe and from there back to Japan. Should Honda put the CB1100R into production? #MCNfleet17: Which Fireblade should we buy? Poll: Should Triumph build a Daytona 765? Should Triumph build a Daytona 765? Poll: Should Cal have a factory Honda ride for next year? Poll: What do you think BSB's future rules should be? Poll: Should BMW build the Lo-Rider?